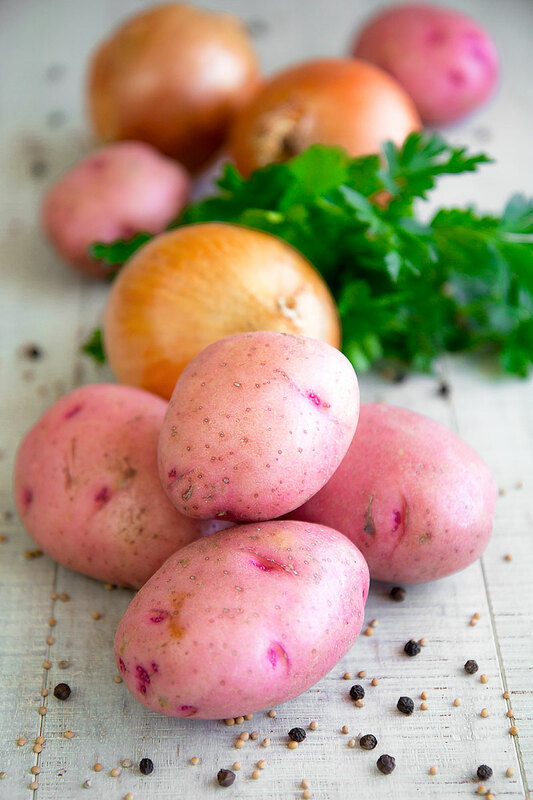 The Lyonnaise potatoes are a traditional peasant recipe, probably very ancient, but the first written recipe felt to this day is dated 1806, into the cookbook Le Cuisinier Impérial by Alexandre Viard. 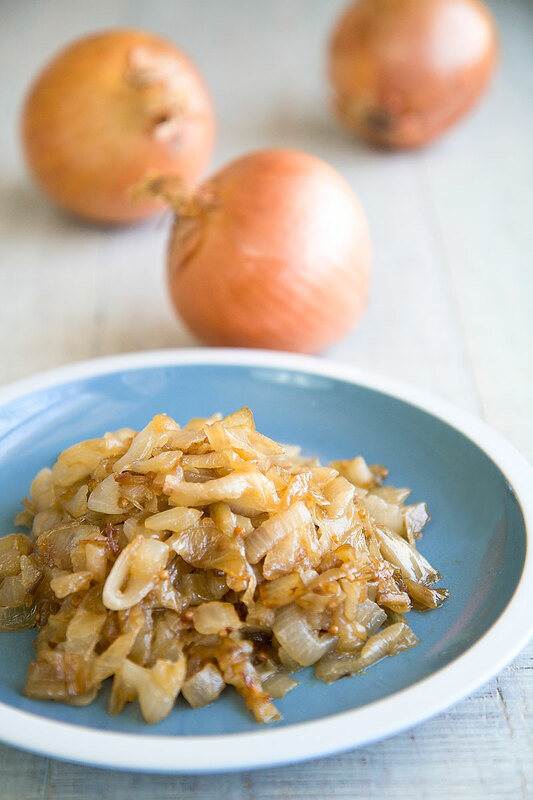 In this first recipe, it is interesting to note the addition of flour into the caramelized onions along with a bit of vinegar, habit by the time fallen out of fashion. 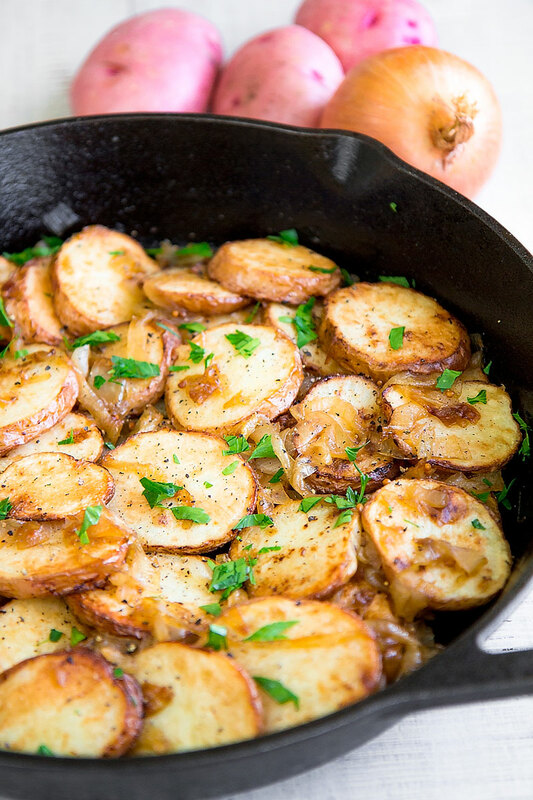 Basically, there are 2 ways of cooking Lyonnaise potatoes. 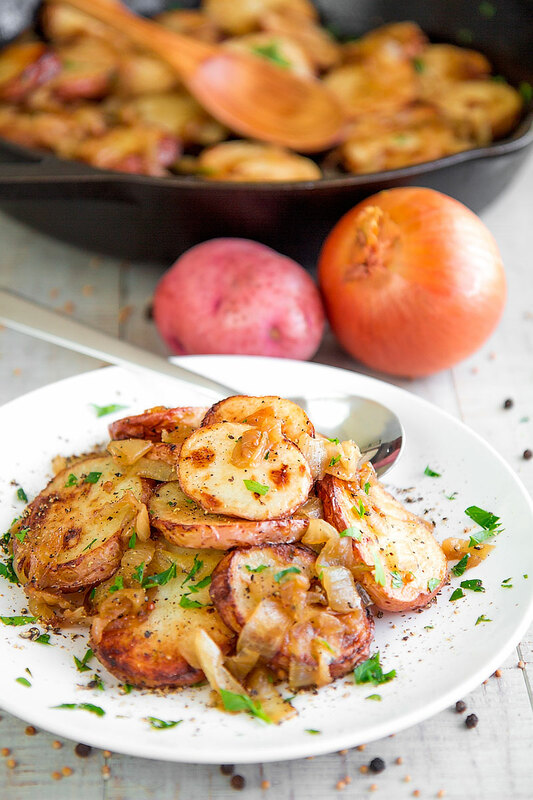 The first one provides for the exclusive use of the pan: the potatoes are pan roasted separately from the onions, using the same skillet. 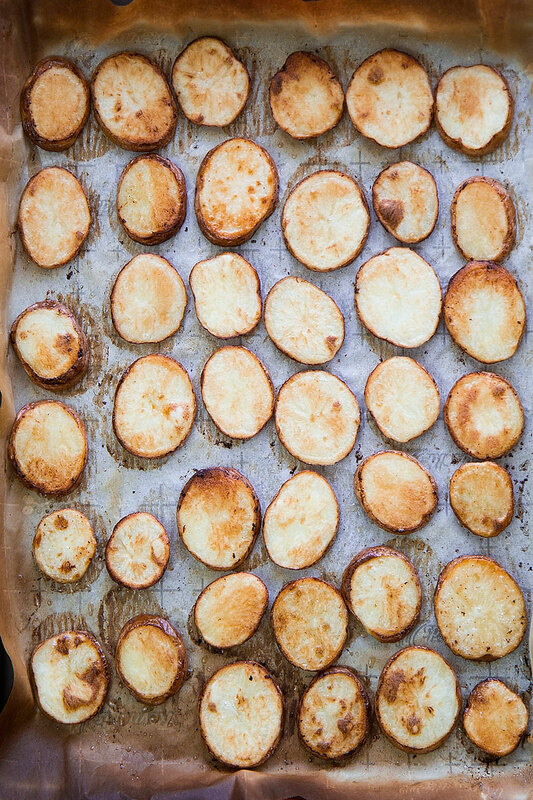 This method fits well preparing just a few potato slices, considering the difficulty to make well brown all their sides. 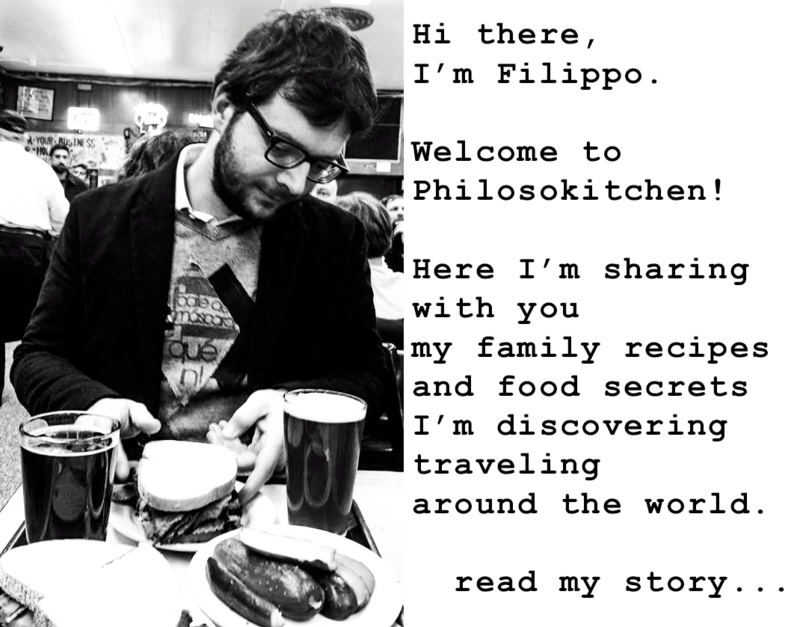 The second method calls for the use of a baking tray and it is explained in the following paragraphs. 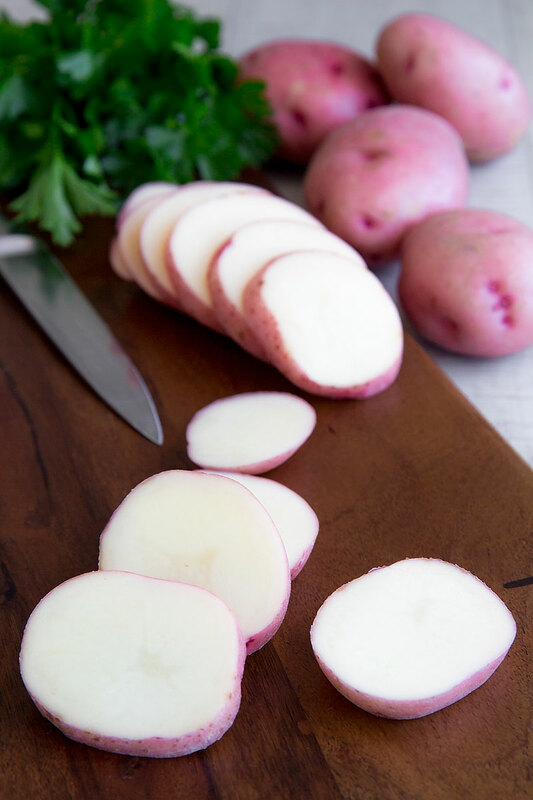 To prepare Lyonnaise potatoes to perfection, you want to wash a significant amount of starch. First of all, brush the potatoes under running water, then cut them into rings. Now, rinse the potatoes rings to eliminate as much as possible the starch. Finally, pour the potatoes into a bowl and submerge with medium hot water for at least 1 hour. Peel and cut the onions into halves, then reduce into slices. Now, pour 2 tbsp of butter, 2 pinches of salt, and optionally the yellow mustard seeds in a skillet, better if cast iron. Place the pan over medium/low heat, then add the onions, and cook until golden brown and nicely caramelized, occasionally stirring as needed. While the onions are caramelizing, preheat the oven to 450° F (230° C) and melt 6 tbsp of butter into a little pot over medium heat. Now, rinse the potatoes one more time and dry them with a clean kitchen towel. 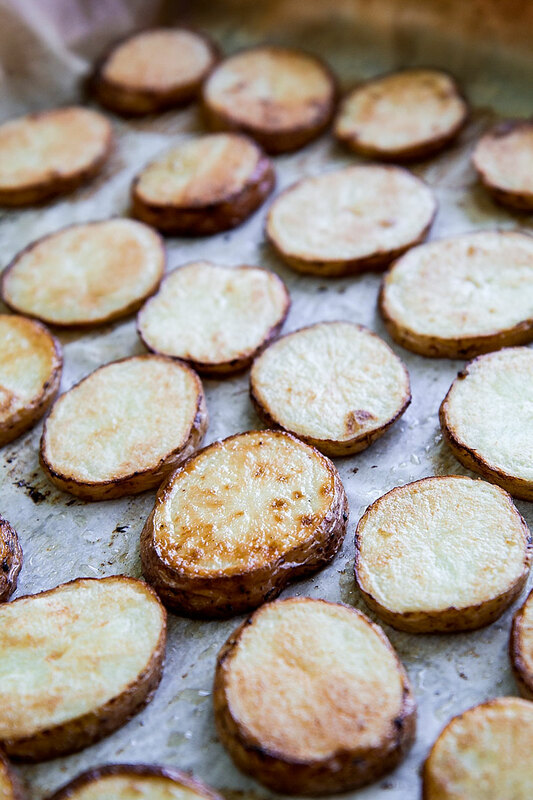 After that, season the potatoes with the liquid butter, and place them on a baking tray lined with parchment paper. Finally, season with a generous sprinkle of salt, and bake until the potatoes become golden brown, flipping and salting them again halfway. To obtain a nice crust and speed up the process, operate the broiler: in case, pay attention to the parchment paper to prevent any fire! 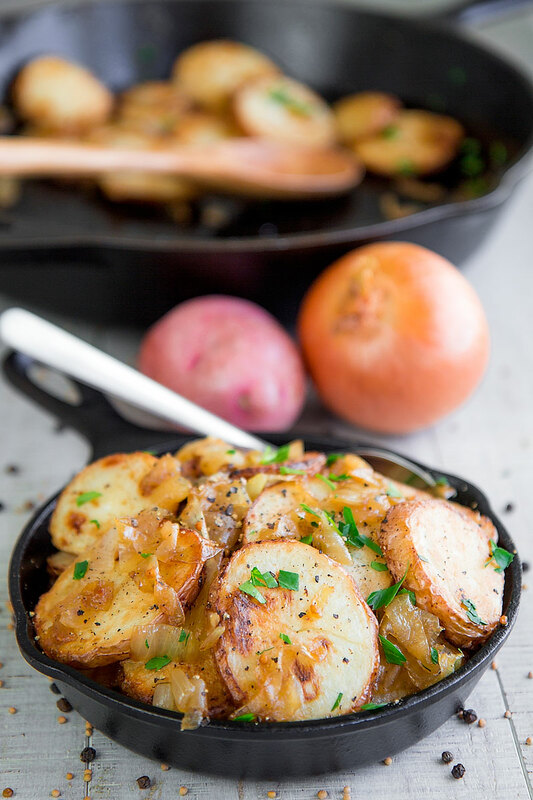 Once the potatoes are ready, pour them into the pan and toss along with the caramelized onions, then bake 10 minutes more at 355° F (180° C). Eventually, garnish with minced parsley, and a sprinkle of black pepper, then serve immediately! I like this recipe and will use it in making my chorizo, jalapeño hash. 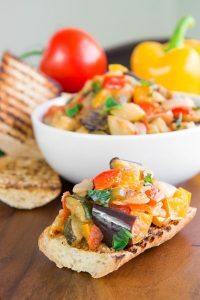 I can tell you just a thing: choose tasty and simple dish, 40 persons could be a challenge!